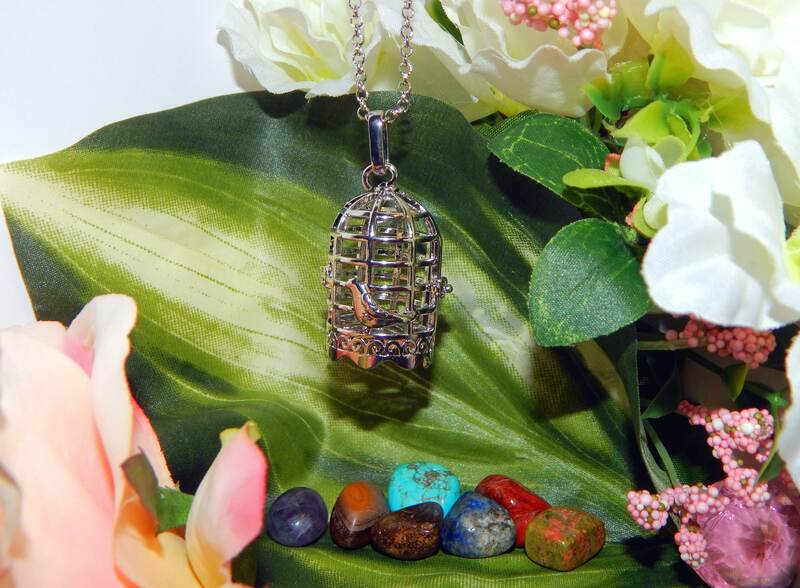 A beautiful seven gemstone Chakra set and Birdcage locket with included extra long 30' inch high quality sterling silver link chain. 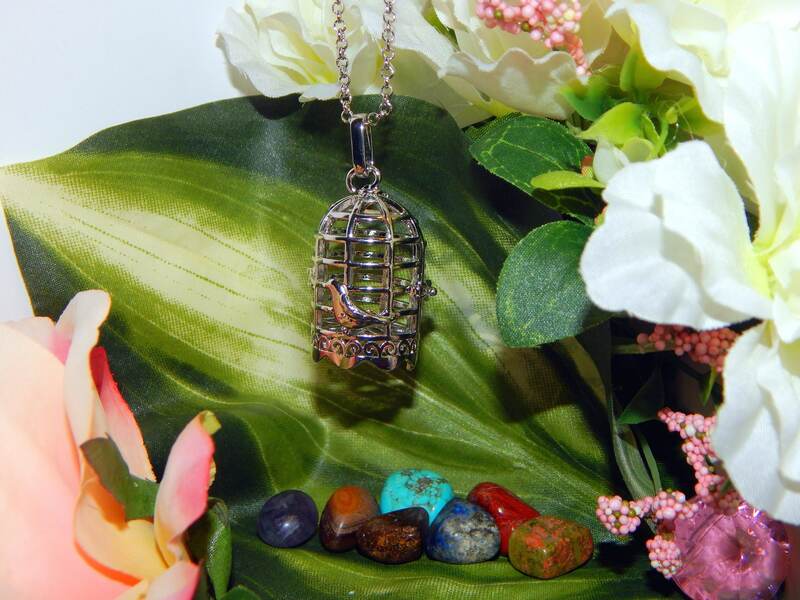 SET A: This set consists of seven natural gemstones. One purple Fluorite (Crown chakra), one blue Sodalite (Brow chakra), one Turquoise (Throat chakra), one pink and green Unakite (Heart chakra), one golden Tiger's Eye (Naval chakra), one brilliant orange Fire Agate (Sacral chakra), and one Red Jasper (Root chakra).